Stock #: 5859 High Performance Packaging 8'x8' square mezzanine for a 46" base scale. 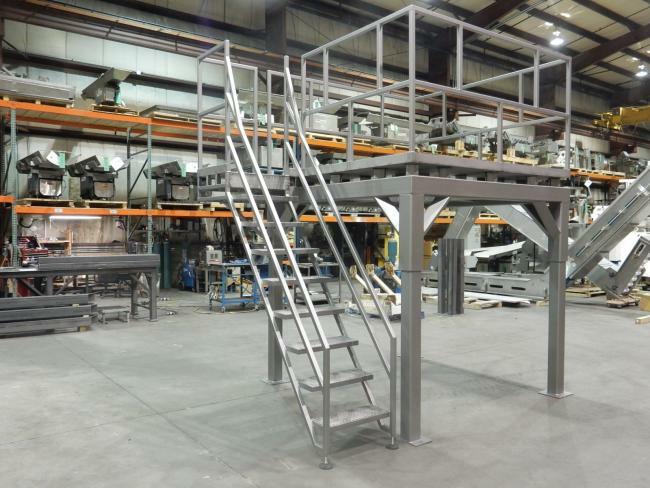 New custom built Ishida and Yamato scale mezzanine platform for sale. 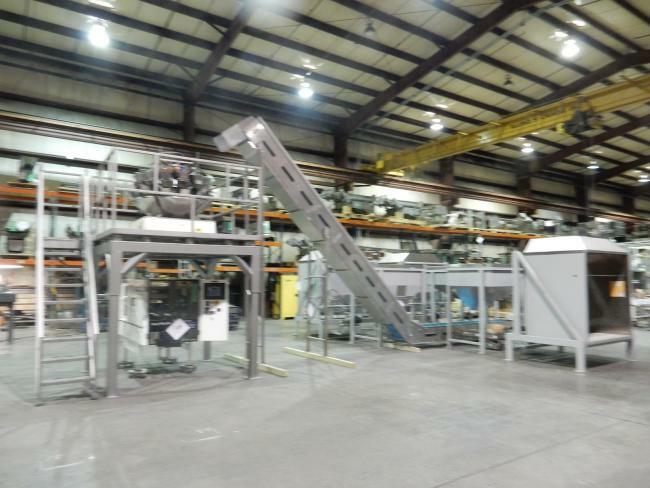 High Performance Packaging has this amazing late model Hayssen 12-19HR Ultima bagger with Ishida CCW-R-214-s/30-PB scales with Eriez HS46C Vibratory Feeder with Custom new built mezzanine with cleated wash down incline conveyor with Dumpers Unlimited Tote dumper system for mixing products. 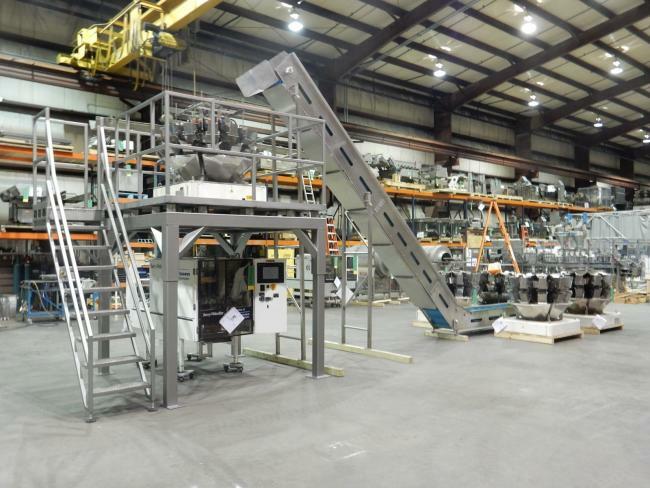 High Performance Packaging has this Hayssen Ultima 12-16HR VFFS bagger with Mezzanine, Ishida CCW-R-214-W-1S-30-PB-GS, Incline conveyor, and four Ishida CCW-NZ-210W-S/30-PB scales for precise portioning of mixed products for sale. At High Performance Packaging, we strive to offer our clients top quality used machinery for a number of different industries, including food, dry goods, frozen items, and much more. Our machinery is thoroughly inspected prior to resale, so our clients know they are not only saving money but getting reliable equipment as well. 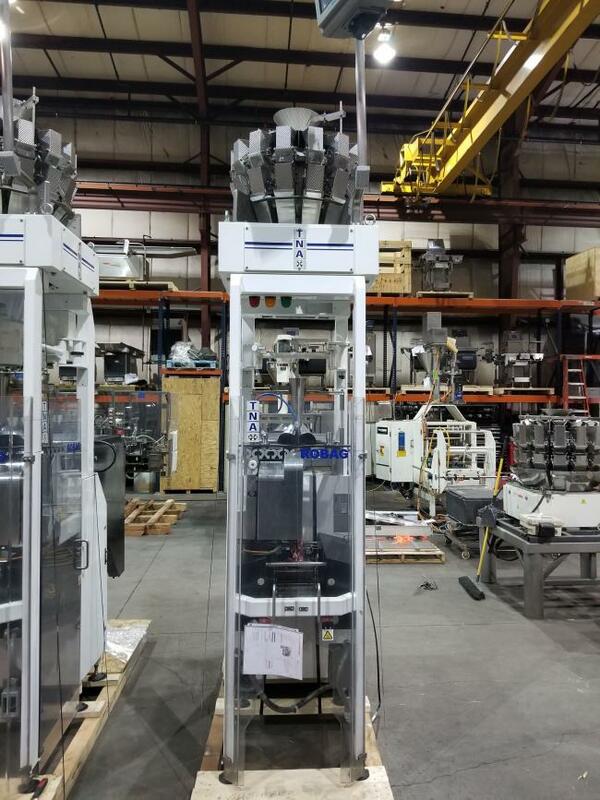 We have machinery from well known brands such as Hayssen, Matrix, Ilapak, Ishida, Yamato, Deamco, Meyer, Smalley, Bilwinco, Loma, Safeline, Markem, Videojet and plenty of others, and we have in our inventory machines like combination weighers, vertical form fill and seal machines (VFFS), horizontal form fill and seal machines (HFFS), conveyors, code date printers, and more. In addition to selling high quality packaging equipment, we at High Performance Packaging also offer technical support services and operator training so that you and your staff can learn how to use each machine as efficiently as possible. Our professional associates will help you make the best decision for your company's packaging needs, call us today!